Have you ever wanted to take the screen at the movie theater home with you? That would be one crazy entertainment system, wouldn’t it? While that may not be a realistic option, you can do the next best thing and get yourself a 60-inch TV. 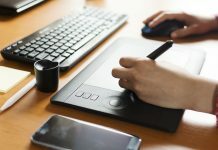 With all the technology being included on these devices, you may find yourself spending less time at the theater and more time binging on Netflix. Regardless of your reasons for wanting a 60-inch TV, you want to make sure you get the very best of the best that your budget allows. At this size and price range, you don’t want to make a decision without having first done your research to figure out which one of the many options out there is right for you. To help you in your search, we’ve put together this list of the very best 60-inch TVs currently available on the market. Use it to identify the right TV for you. What Goes Into Our Review? With modern TVs come new technology and it’s the new terminology that can cause confusion for shoppers. Let’s clarify a few of these terms before getting into the reviews. 1. What is the difference between Full HD (1080p) and Ultra HD (4K)? 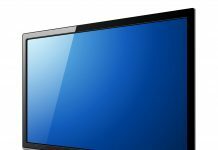 With Full HD, the screens have a resolution of 1980 x 1080 pixels which is awesome, but unfortunately, it’s no longer the gold standard for home TV screen resolution. Ultra HD, on the other hand, offers a screen resolution of 4830 x 2160, which is as close as you’re going to get to a cinematic experience at this point. 2. What is the difference between LED and OLED? In LED TVs, LED lights behind the screen illuminate the panel. In OLED, each individual pixel gives off its own light which leads to greater contrast and deeper blacks. You’ll notice terms such as QLED, XLED and ULED but they’re all marketing terms referring to LED technology. 3. What is High Dynamic Range (HDR)? In addition to 4K, there’s another level of picture performance to consider when shopping for high-definition TVs. Without going into too much detail, an HDR-compatible TV simply means that you’ll be able to see much brighter pictures and better contrast than with standard dynamic range displays. HDR expands the range of contrast and color and delivers additional brightness, which causes images to appear more realistic. Since most shoppers at this price point expect top-of-the-line performance, manufacturers have built and priced their sets with that in mind. We want to give you all the tools you need to be able to decide on the best TV for you. For each set included in this review, we provide a summary of its best features as well as other details that can help with your decision including cost and warranty information. To bring you an accurate picture, we consulted with expert and customer reviews that speak to the actual performance delivered by each set. Based on our analysis, here are the ten TVs we consider to be the best in the 60-inch range. Let’s take a look at each of them now. The M65-E0 is part of VIZIO’s M-Series of TVs that deliver spectacular image quality with rich contrast, lifelike color and plenty of brightness. It comes with VIZIO’s XLED Plus which provides full-array backlight technology for ultimate brightness and color consistency. The Xtreme Black Engine Plus technology helps to deliver deeper black levels using 32 local dimming zones that dynamically adjust the backlight’s brightness to the pictures on the screen. Its XHDR Plus design with Dolby Vision delivers excellent contrast range. The M65-E0 uses VIZIO’s SmartCast platform based on Google’s Chromecast as its smart TV display. Starting with its super slim (less than a quarter inch thick), frameless panel, the LG Signature OLED65W7P brings to the table what other units simply don’t. 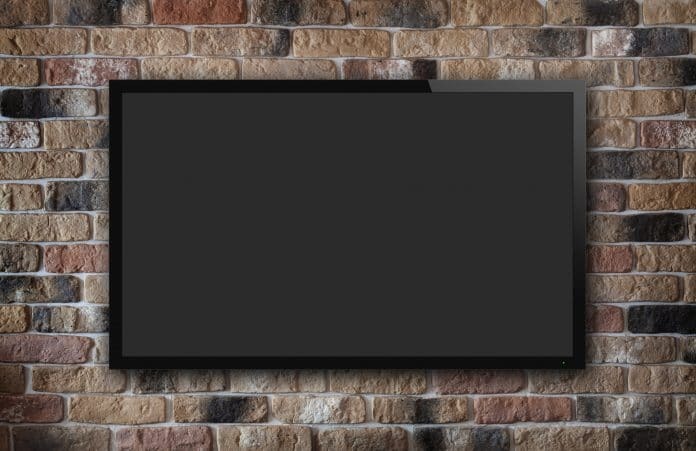 The TV is so thin that it looks like images are coming out of your wall when it’s in play. It comes in two parts, the OLED display panel and a control box which doubles as a sound bar. The control box is where you will find all the unit’s controls and connectivity slots. Regarding display, the unit boasts the availability of “a billion rich colors” which gives it a color palette that’s 64 times broader than regular TVs and can deliver images that are far more precise with lifelike coloring. The Sony XBR-65X900F displays extremely high-quality pictures for both HDR and SDR content. Using the X1 Extreme video processor that comes in all the units in this series, the XBR-65X900F can enhance images from DVDs and Blu-rays to appear as 4K as well as convert SDR images to HDR. The TRILUMINOS display technology allows for more vibrant and authentic images. The XBR-65X900F comes with Android TV as its smart TV platform which means it provides access to lots of content from Netflix, Amazon and YouTube. It also has built-in Chromecast to make it easier to share content from your other devices. Get perfect color with over a billion shades and 100% color volume with our exclusive new Quantum Dots. 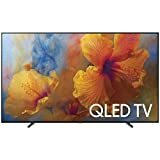 Some consider the Samsung 65Q9FN one of the best TVs ever. If you’re looking for super-bright HDR images and excellent contrast, this is the TV for you. Using Full Array Local Dimming, the 65Q9FN delivers brighter and more colorful pictures than just about any other unit from Samsung. With its Motion Rate 240 technology, you can watch your sports and fast-action content with complete smoothness. It uses Samsung’s Smart TV platform and comes with the Bixby Voice which allows you to sync your smartphone to your TV and control the content on there. 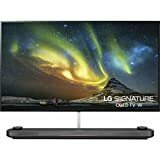 The LG 60UJ7700 is a high-quality 60-inch 4K UHD TV that offers wide viewing angles and excellent handling of fast-moving content with its TruMotion 120 technology. It comes with Dolby Vision which optimizes each scene to deliver the best picture quality. True Color Accuracy automatically corrects the color in each scene to make it more lifelike. It also comes with the webOS 3.5, which is one of the best smart platforms around. 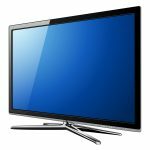 Dimensions (W x H x D): TV without stand: 57.6" x 33.4" x 3.1", TV with stand: 57.6" x 36.3" x 10.6"
The Sony XBR-65Z9D is a fantastic 4K LED TV that delivers some of the best picture quality around due to its local dimming capabilities. Using its Backlight Master Drive technology, the XBR-65Z9D offers near perfect black levels and outstanding brightness. With X-tended Dynamic Pro Range 16x, it’s capable of delivering up to 16 times the contrast of traditional LED TVs. The built-in Chromecast and Google Assistance capabilities allow you to access your favorite content while also easily controlling your TV and other devices in your home. Triple Black lets you see what you've been missing, even in dark scenes. 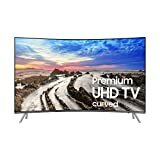 The Samsung UN65MU8500 is a 4K LED smart TV with a curved design that offers excellent picture quality. With the Triple Black technology, blacks are displayed beautifully regardless of the time of day. When playing games or watching sports, your picture quality will remain the same due to the Motion Rate 240 technology. The UN65MU8500 comes with a full web browser that allows you to browse for your favorite web content or complete all your online shopping. The LG OLED65C7P is a minimally-designed 4K OLED TV that provides fantastic picture quality in just about every situation. Using individually-lit OLED pixels, it displays blacks perfectly while also delivering excellent contrast. It also displays bright, beautiful pictures in a wide range of colors. As is the case for all LG smart TVs, the OLED65C7P is powered by webOS 3.5 which is one of the better smart platforms available. 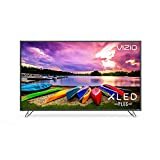 Dimensions (W x H x D): TV without stand: 57.8" x 33.3" x 3.1", TV with stand: 57.8" x35.9" x 9.7"
The TCL 65S405 is a 4K LED TV that delivers excellent picture quality for its price. It is a fantastic option if you’re searching for a budget-friendly unit in the 60-inch range. It performs well with fast-moving content and shows very little motion blur. It uses 4K creative pro upscaling to bring your favorite HD up to near 4K levels. The Roku TV smart platform brings all your favorite content right to your TV. 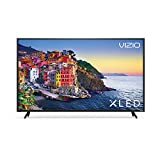 The VIZIO E65-E1 is a 4K LED smart TV that delivers really good picture quality at a lower price. Using its full-array local backlight technology, it offers enhanced contrast and deeper blacks. You’ll be able to enjoy fast-moving content with no problem with its Clear Action 180 technology. While 60-inch TVs aren’t usually for the price-conscious shopper, we understand that you may not want to spend your entire savings on a new TV. If that’s where you find yourself, we recommend the Sony XBR-65X900F or, if you want something even more budget-friendly, the VIZIO E65-E1. Either model is going to give you excellent performance no matter what your goals are. 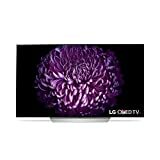 If the price is less of a concern and you’re looking for something different, then we recommend the LG Signature OLED65W7P. It has the flattest of flat screens, and it will literally look like the screen is on your wall. Since most people want the option of using a TV stand or hanging it on their wall, our overall top TV is the Samsung 65Q9FN. It gives you everything you want and more from a high-end unit. It provides great pictures, great sound and all-around great performance. We know purchasing a TV can be a challenge because they’re all so similar. Use this review as a guide to help you find the one that’s perfect for you.